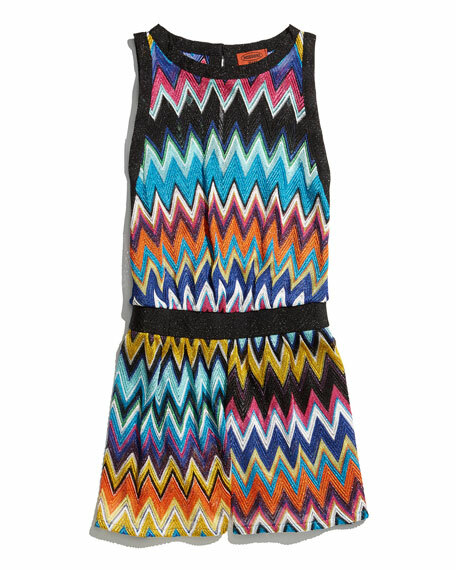 Missoni Mare "Tuta" romper in zigzag print. For in-store inquiries, use sku #1731998. Alice + Olivia "Mardell" satin romper with overskirt. Contrast crossover front. Shorts underneath. V neckline. Sleeveless. Back zip. Slim fit. Mini length. Triacetate/polyester. Imported. 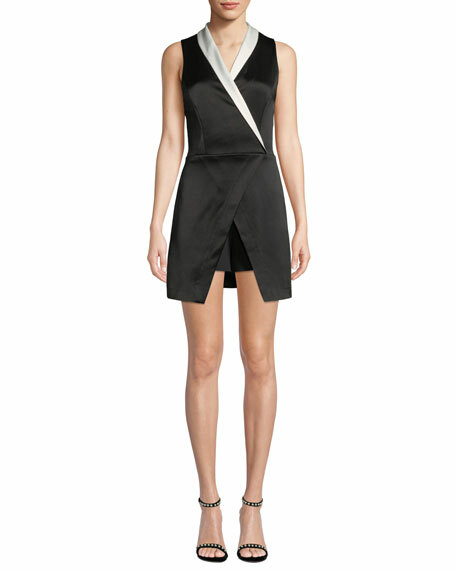 Alice + Olivia "Tamira" romper. V-neckline; three-button front. Sleeveless. Banded waist. Rear welt pockets. Relaxed legs. Hidden back zip. Polyester/viscose/polyurethane. Imported. 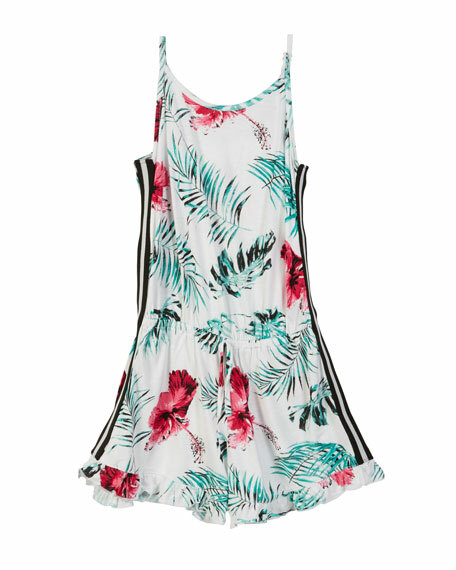 Flowers By Zoe romper in floral-print with sporty side-stripes. Scoop neckline. Sleeveless. Self-ties at waist. Ruffle hem. Rayon; polyester trim. Imported.